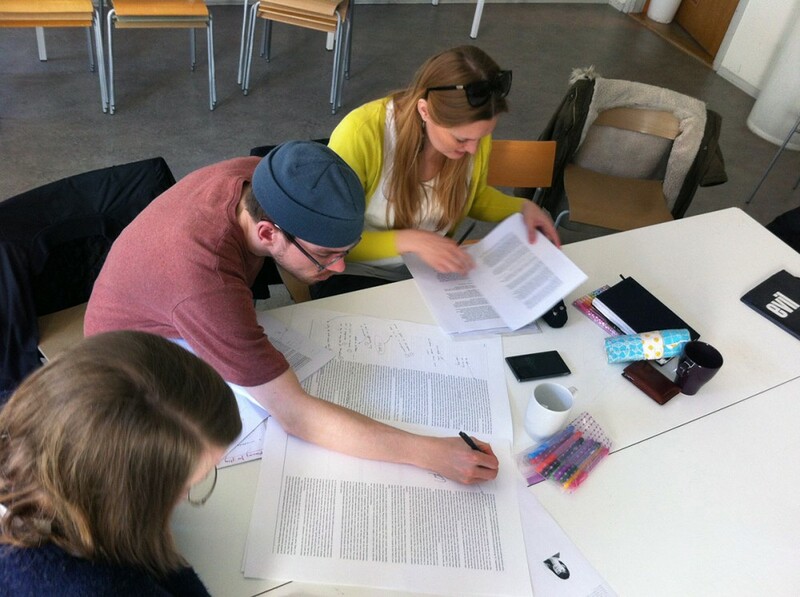 On Thursday, April 16th the Office for Public Play organised the first “Readers, Write!” workshop session with the master students of Child Culture Design (HDK School of Design and Crafts) within Tobias Engberg’s text seminar series. Readers, Write! is a method and toolkit, designed to facilitate arts and design researchers working with academic texts for artistic research. 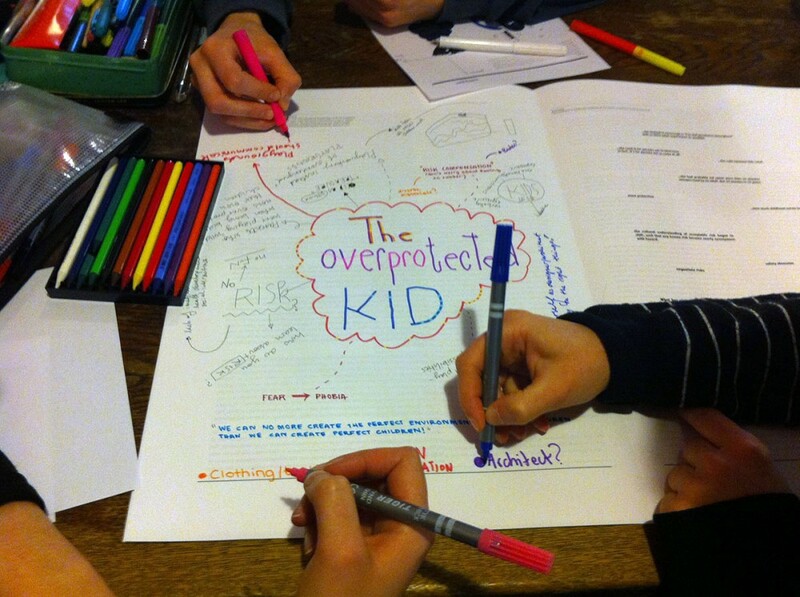 Further on, it aims to stimulate reflection by means of writing. After the briefing, the class was divided into smaller groups. Inspired by the Wiener Kaffeehaus culture the groups each searched for their most comfortable place to work, read and discuss. The Viennese coffee houses offered its social members the opportunity to read and discussed the latest news facts over a cup of coffee. Some student groups worked in the library, the cafeteria or went outside the school building; another group worked in the classroom. The probe, referring to a newspaper and its “letter to the editor” guided the student groups into various of methods that helped them processing the academic text — from reading/understanding to forming their own opinion about the text. 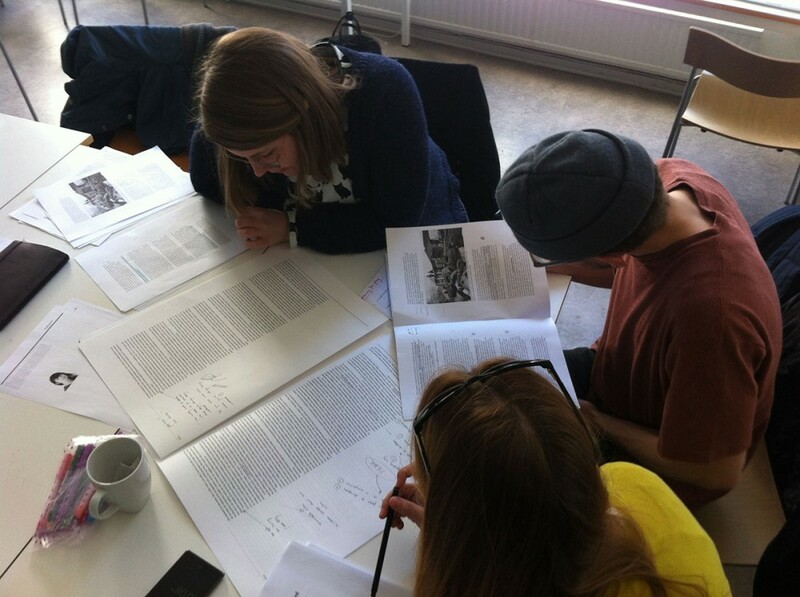 At a later stage, the group re-united to share and discuss the different opinions on the text. The final group discussion was closed by a short evaluation.